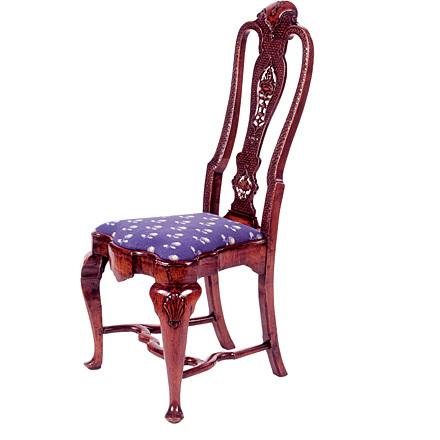 The original upon which this chair is based is in the manner of Daniel Marot c.1720. 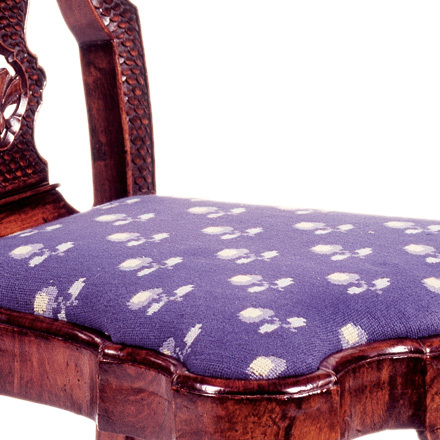 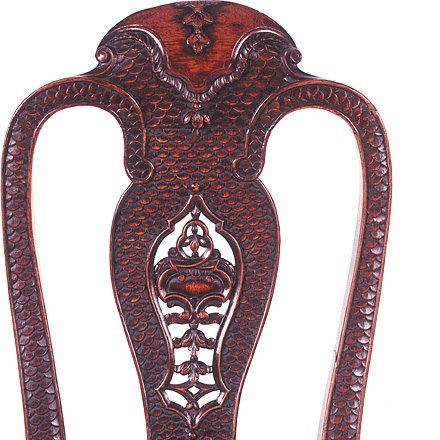 It features a shaped open back carved with a fish scale pattern, the pierced splat carved with floral motifs, the drop-in serpentine seat on cabriole legs carved with a shell motif and pad feet joined by a carved stretcher. 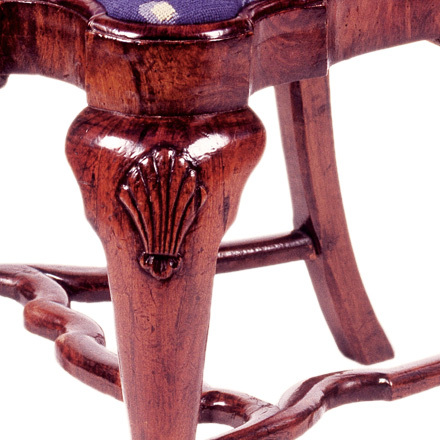 The original chair is in the collection of Mr. and Mrs. Gordon Getty, San Francisco.